Losing a loved one in an accident is devastating, and can affect the lives of all those left behind. Deep and profound grief is the first emotion felt when a loved one dies: grief for the loss of your loved one, with a sense of wondering how you will go on without them. Oftentimes, soon after grief comes fear: fear of how you will pay your bills and save for the children’s college education without your loved one’s income. During the time of grief and fear following a wrongful death accident, it is important to hire an attorney who has the experience of knowing what to do when tragedy strikes. 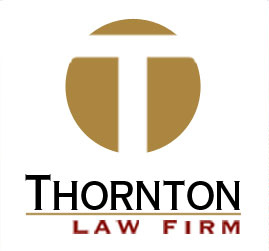 Steve Thornton of Thornton Law Firm can help you get moving in the right direction at this difficult and stressful time. We will investigate your case, prove that the responsible party is held accountable, and pursue all damages recoverable under Georgia law in wrongful death cases. Our job is to help you get through the times of grief and fear, and to secure the financial future for the survivors. Contact us for a free consultation of a Wrongful Death case – we are here for you.